I have a huge ant problem. The previous owners put in a lot of walls using railroad ties and stacked rock. All of these walls are nesting areas for harvester ants. What is my best options for treatment of these areas? 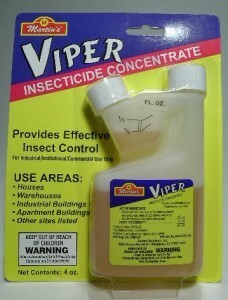 I have been using VIPER spray and other types of treatment but still have a huge problem. Thanks. Most traditional products won’t work and though VIPER is fast acting, harvester nests will be deep in the ground and the repellency action of the Viper combined with the lack of getting product on every ant means their nests will survive. Usually what you find is the nests relocating to avoid the spray and though you’ll no doubt kill a bunch, it won’t be nearly enough to control the problem. But there is a different acting product that’s ideal for this type of problem. 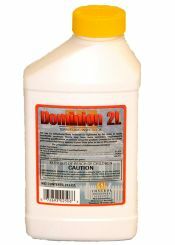 Known as DOMINION, this active works slowly and takes many days to actually kick in and start to kill the ants. This is critical to it’s success. Basically the ants won’t even know it’s been applied and will continue to move about as normal following the application. But what they don’t realize is that they’ll also be sharing the product amongst themselves meaning they’ll be transfer it from one ant to another as they go about their daily work. And by the time the product kicks in, enough ants are usually contaminated so that the whole nest will shut down and die. Dominion works great on termites too so it’s a great way to treat the railroad ties for long term protection. Basically you can spray the turf area with it using a standard PUMP SPRAYER but if it’s a big area, a HOSE END SPRAYER can be used. And injecting some to the ground to their nests alongside the railroad ties can really help. Give this active a try and I’m sure you’ll see positive results.